Absolutely unique fat burner which perfectly combines power of natural extracts and the latest technologies. Product, which is rare not only for the used ingredients but also for the time of its usage. 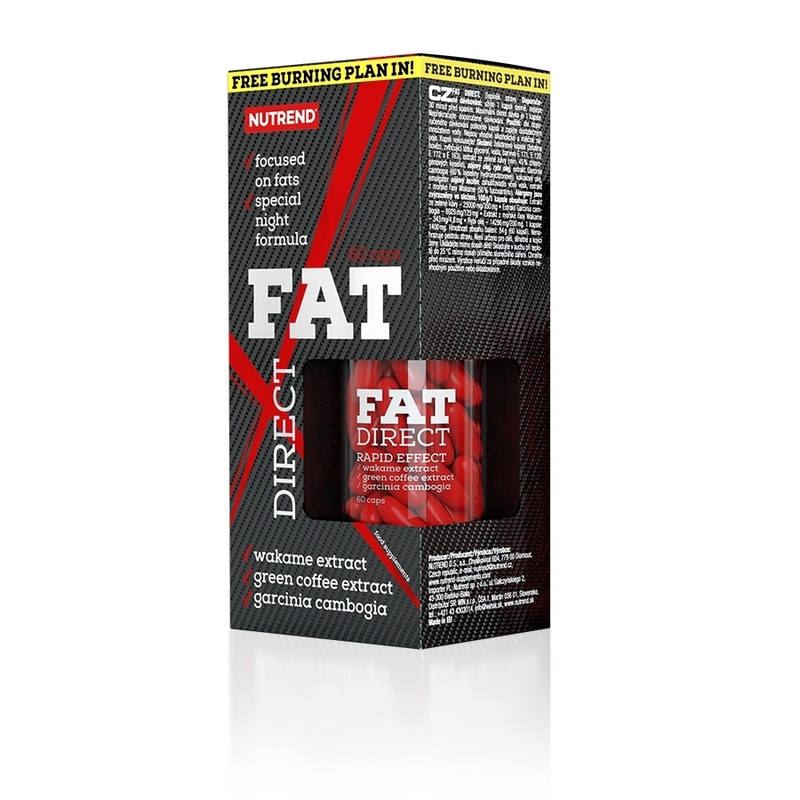 FatDirect is the very first night fat burner produced by the NUTREND company! It is specially developed product for reducing fat during sleep. Carefully composed prescriptions contains extracts from sea weed wakame, garcinia cambogia and green coffee extract (caffeine free). 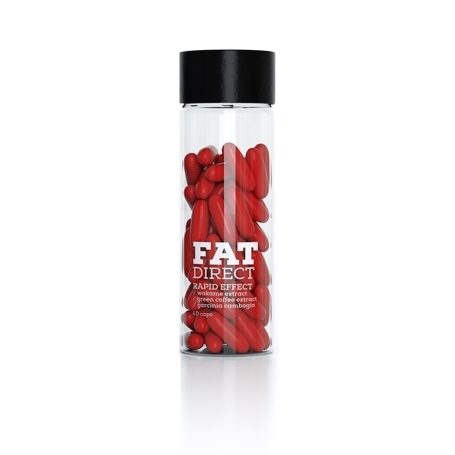 Product FatDirect does not contain any stimulating substances and thus is intended for usage in evening hours – 1 capsule 30 minutes before sleep. Find out your exact energetic intake to lose weight easily with our new tool. 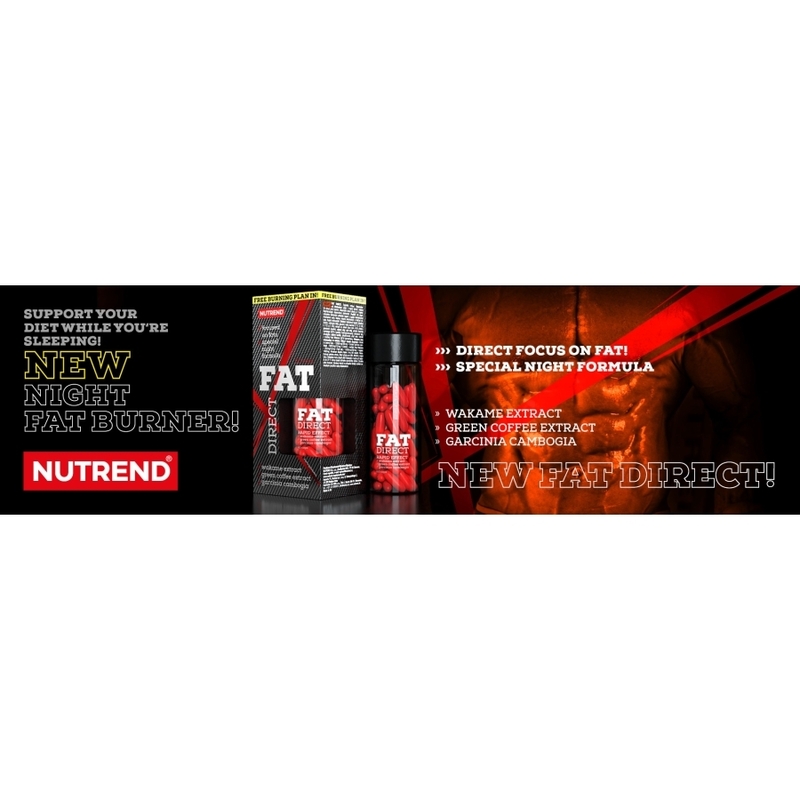 Nutrition specialits from the NUTREND company created a unique energetic calculator, which is available only on our website. WAKAME EXTRACT – extract from sea weed high in pigmentation named fucoxanthin. This pigmentation according to metabolic and nutritional studies shows positive effect on fat reduction. The following clinical studies showed very interesting effects. GREEN COFFEE EXTRACT – another extract among important efficient substances, which is very favourite not only at athletes but also at wide public and is often added into similar types of products. GARCINIA CAMBOGIA – third efficient substance, which is often mentioned in connection with diet regime is green coffee extract, which together with ingredients mentioned above is closed in softgell caps for higher effectivity of the mixture. Recommended dosage: use 1 capsule once a day, 30 minutes before bedtime. Maximum daily dose is 1 capsule. Do not exceed recommended dosage. Use: according to the recommended dosage swallow the capsule and wash down with a sufficient amount of water. Alcoholic and milk beverages are not suitable. Do not chew the capsule! Warning: Food supplement. Does not replace a varied diet. Not intended for children, pregnant or nursing women. Keep out of reach of children! Store in a dry place at a temperature that does not exceed 25 °C and away from direct sunlight. Do not freeze. The producer is not liable for any damage caused by improper use or storage. 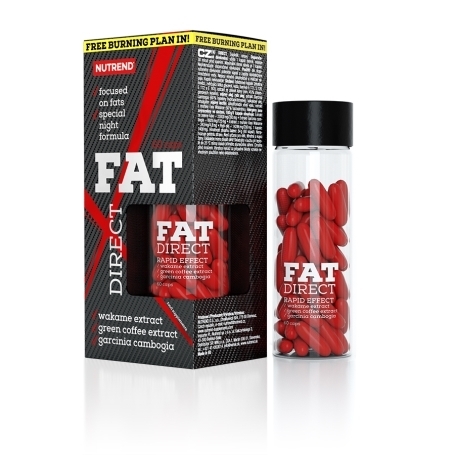 Usage of the product FatDirect is not necessarily in evening hours, but unlike other fat burners, it is posible to use FatDirect before sleep. Because of this fact, FatDirect is marked as „night formula“. Ingredients: gelatine capsule (beef gelatine, humectant glycerol, water, colouring agents E 171, E 120, E 172 and E 163), green coffee extract (min. 45 % of chlorogenic acids), soy oil, fish oil, Garcinia cambogia extract (60 % hydroxycitric acid), coconut oil, emulsifier soy lecithin, thickener beeswax, Wakame seaweed extract (50 % fucoxanthin). For allergens see ingredients in bold.